14:09 | Lima, feb. 12. 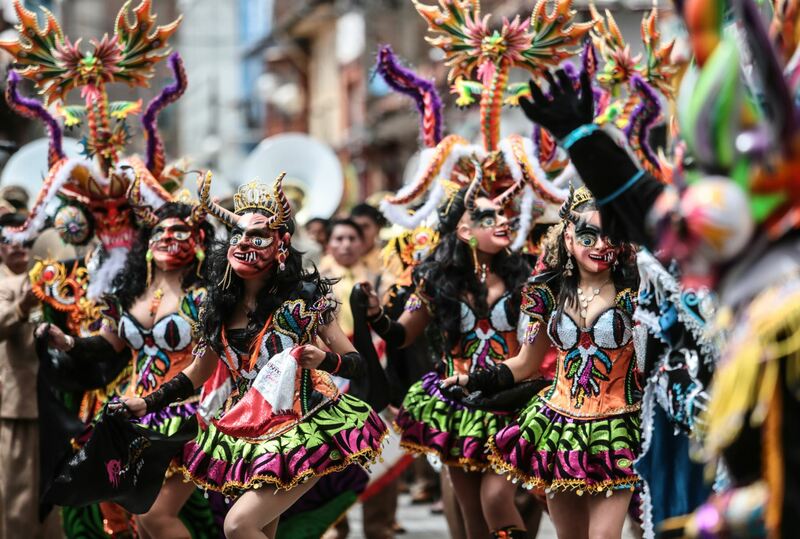 Domestic and foreign tourists take part in the Virgen de la Candelaria festivity —Peru's most important religious celebration included in UNESCO Intangible Cultural Heritage of Humanity. Once again, the great devotion and faith to Virgen de la Candelaria are evidenced in Puno region with crowds of tourists joining the magnificent celebrations and dances. The festivity kicked off on Monday near Lake Titicaca shores, with a parade through the patron saint's sanctuary in downtown Puno, featuring dancers spread over two kilometers. As every year, the streets of Puno —the Capital of Peruvian Folklore— were filled with lights, color, and jubilation of its people. Dancers demonstrated elegance and composure in their performances. Furthermore, they expressed their faith by praying —for a moment— at the foot of the venerated image. Afterward, the artists received a bunch of flowers in exchange and continued their journey to the rhythms of trumpets, clarinets, and drums. This folkloric parade complements the dance and light-costume contest held on Sunday. Due to the increasing number of troupes, Puno authorities and organizers last year decided to extend the celebration to two days.